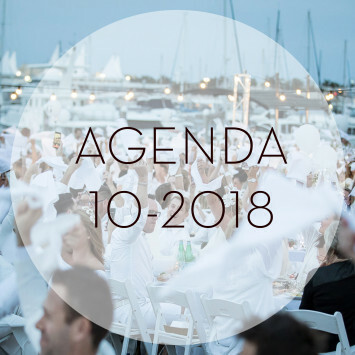 In October, Le Dîner en Blanc is all about Australia and the United States. For the first one, spring is at its door and for the latter, autumn can be sweet and mild enough for a night under the stars. Three events in Oceania will be in Brisbane, Gold Coast, Toowoomba. On the American continent, five events are happening in Sacramento, New Orleans, Orange County, Charleston and Atlanta. However, the festivities open on the African continent with Le Dîner en Blanc - Nairobi! 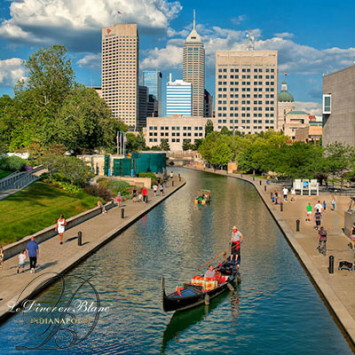 Friendly, funky and hospitable are the terms that characterize Indianapolis - Indy for friends. Qualities that made it obvious to Katasha Butler, Jessica Brand and Amber Clarke to host Le Dîner en Blanc in their city. 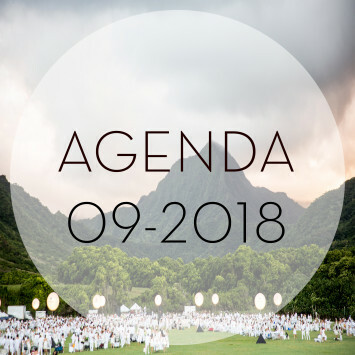 After months of preparation, Le Dîner en Blanc - Indianapolis premieres Friday night (September 28, 2018). On the eve of the event, the 3 ladies took the time to answer a few questions and tell us more about their experience and desire to join the adventure. Back to school is one of the most intense periods of the year. 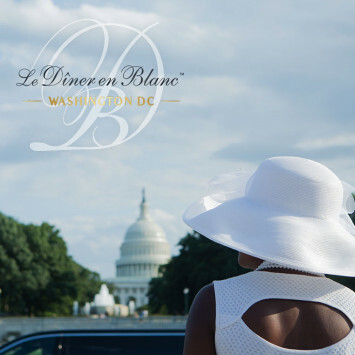 The summer lounging mood is fading out but this is not the case for Le Dîner en Blanc events! September is jam-packed with events all over the globe. 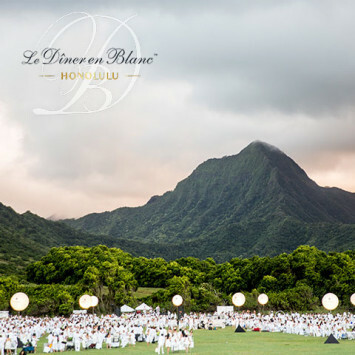 Le Dîner en Blanc - Honolulu returns this year to celebrate its 5th edition! Indeed, the very first edition took place in 2014 at one of the most spectacular monuments of the capital: the Iolani Palace. A success from the start, the following editions built and affirmed the reputation of the event. Every year Le Dîner en Blanc - Washington is a must-attend event for the residents of the American Capital.On the occasion of the celebration of the 5th anniversary of Le Dîner en Blanc - Washington, we summitted to this great mother-daughter hosting team - Linda, Bryer, Kaitlin Davis – our 5-Year / 5-Question questionnaire to unlock their secret, to each year propose majestic events, up to the expectations of each guest.